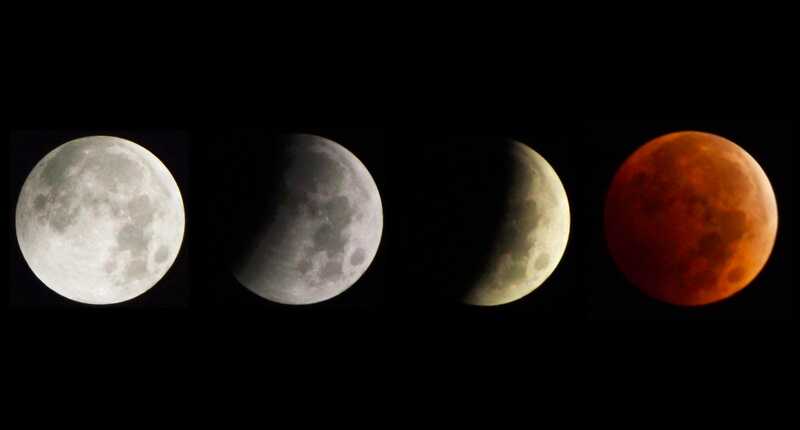 A total lunar eclipse, or blood moon, will happen overnight on July 27. 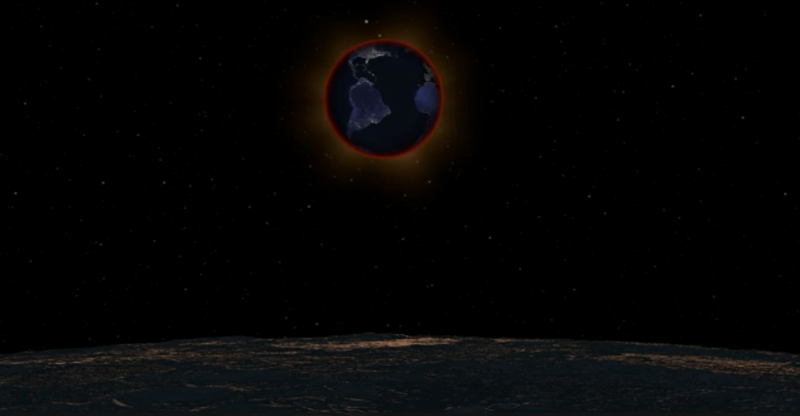 The eclipse is slated to last nearly 1 hour 43 minutes — the longest in about a century. 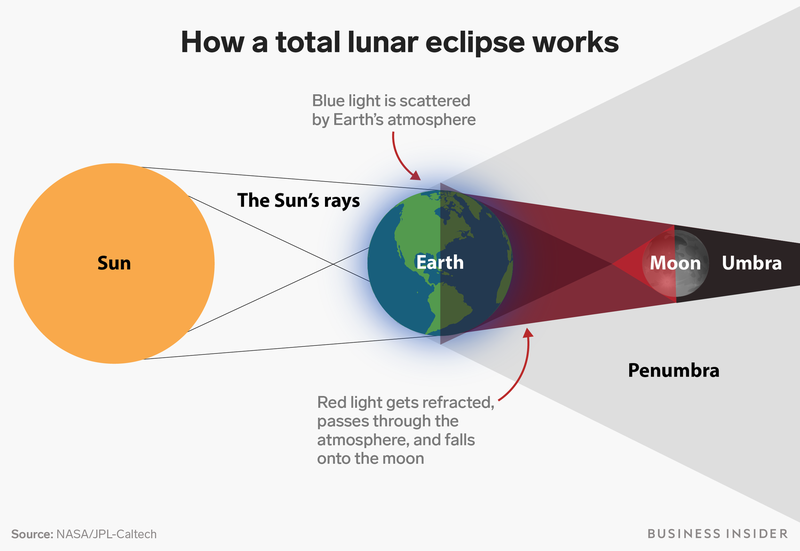 "If you were standing on the moon’s surface during a lunar eclipse, you would see the sun setting and rising behind the Earth," David Diner, a planetary scientist at NASA’s Jet Propulsion Laboratory, wrote in a blog post. "You’d observe the refracted and scattered solar rays as they pass through the atmosphere surrounding our planet." "Pollution and dust in the lower atmosphere tends to subdue the color of the rising or setting sun, whereas fine smoke particles or tiny aerosols lofted to high altitudes during a major volcanic eruption can deepen the color to an intense shade of red," Diner said. 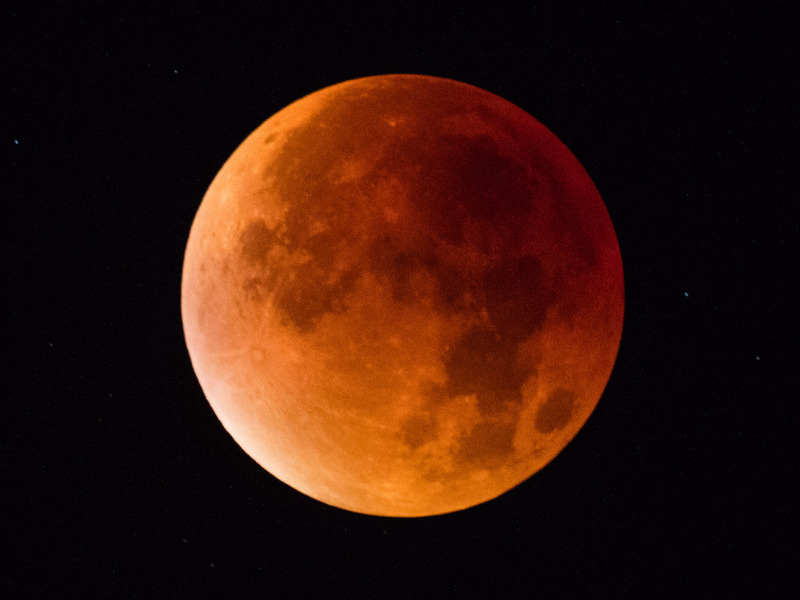 The total eclipse — when the moon is fully inside the red-hued umbra of Earth — starts at 19:30 UT and ends at 21:13 UT. That’s a full 1 hour 43 minutes, which is just four minutes shy of the longest total lunar eclipse possible, according to EarthSky.